Love the Value of a Meal Subscription – but not the commitment? Check out the Sous Vide Kitchen Daily Meal Deal! Warm Flatbread topped with Tabouli, Tzatziki, Kalamata olives, Tomato & Cucumber Salad. 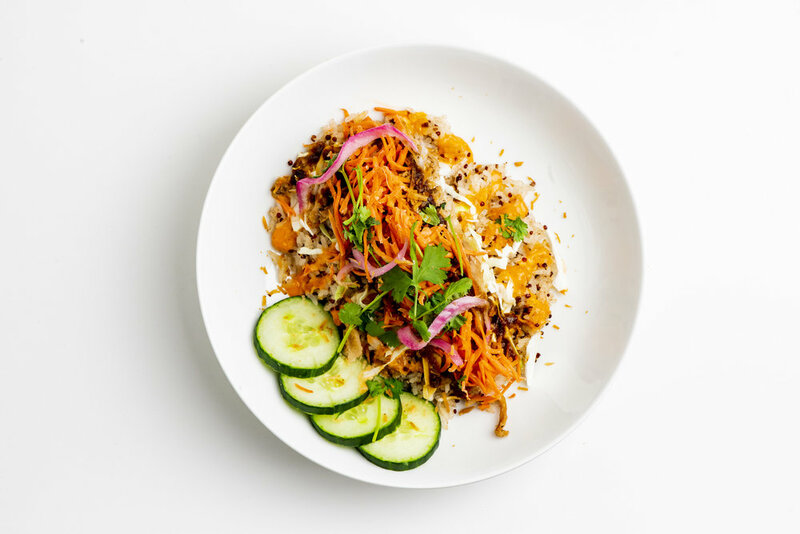 Five Spice Pulled Pork over jasmine rice & quinoa - topped with chili lime sauce, pickled carrots & onions, cilantro, cabbage, cucumbers. Pulled Pork on a warm brioche roll topped with tangy slaw, pickles, pickled & crispy onions. Celebrate National Sandwich day with us! 1/2 Price off all Beer All Day.